kt literary » Blog Archive » RITA-nominated BOYS LIKE YOU in paperback! 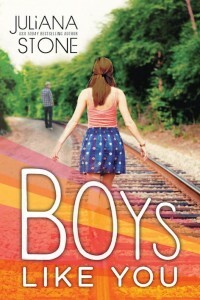 Last month, USA Today bestselling author Juliana Stone’s contemporary young adult romance, BOYS LIKE YOU, was nominated for the prestigious RITA award. Now this amazing book has been re-released in paperback with a new, gorgeous, amazing cover! Congratulations Juliana and happy reading to all!